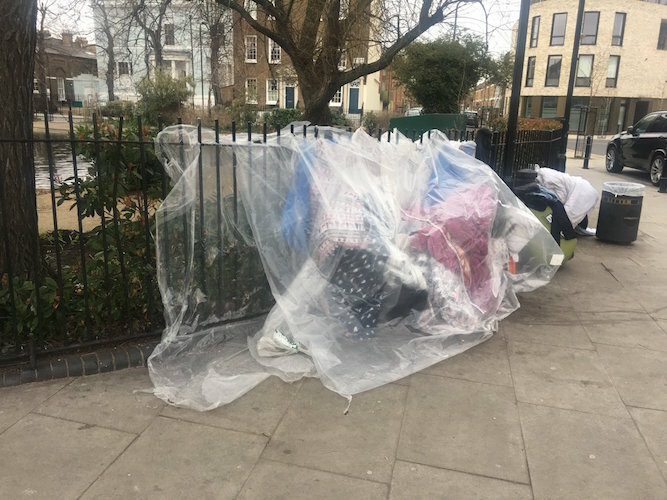 An online tool that helps with reconnecting homeless people who sleep on London’s streets with family members or friends who have reported them missing has received financial backing from the capital’s Mayor. Sadiq Khan has provided £62,000 for the “missing people matching tool” run by the charity Missing People, which helps bring children and adults who have lost touch with each other back together. The tool uses a limited quantity of personal data, which is cross-referenced with that held on the Mayor’s combined homelessness and information network (CHAIN) database of rough sleepers. Its purpose is to assist outreach workers discover if rough sleepers they help have been reported as missing. Missing People provides a 24 hour helpline for people who are concerned about someone, often a child or young adult, who has disappeared from their lives. City Hall says that homeless people found to have been reported missing can be informed of this and given the option of letting those concerned about them know how they are or bringing about a reunion, should they wish to. The charity also provides services for those who have run away from home and need advice about their options, including the possibility of reconnecting. The missing people matching tool is being piloted in London with a view to possible nationwide use in the future. The financial support for it comes from the Mayor’s rough sleeping innovation fund, whose stated goal is to “stimulate new and innovative approaches to tackling rough sleeping in the capital”. Missing People director of policy and research, Susannah Drury, said the online tool was devised by the charity “as a way of using technology to help missing people reconnect with their loved ones”. She added that CHAIN is the first database to be linked in to it. Peter Salva of homelessness charity St Mungo’s, which manages CHAIN, said that the tool will enable outreach workers to “know they are being missed and looked for” but stressed that “it will be up to the people themselves how they want to take things from there”. A fund launched by the Mayor to help homeless charities has so far raised £233,286.